Café Bustelo opened its wondrous pop-up shop doors in Hollywood for a full weekend of free coffee! Yes coffee lovers, your dreams came true, free coffee was up for grabs for a full three days in Hollywood. 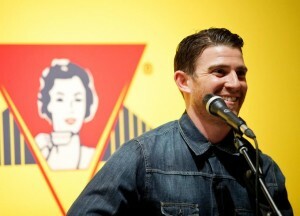 Thursday marked the pop-up’s soft opening with Bryan Greenberg performing for an intimate audience. Yes you read that right. If you didn’t know now you do. Bryan Greenberg is an accomplished musician. He played to an enraptured crowd mixing his older melodies with the new. Bryan Greenberg played a great set opening night. Photo credit: LA Guest List. He actually released his debut album in 2007 and has even toured with Gavin DeGraw. In 2011 he followed up with another album released that featured popular music artist Kid Cudi who worked with Greenberg on his popular HBO series ‘How to Make it in America’. We snagged Greenberg for a quick chat at the Café to talk about his career and what lies ahead. 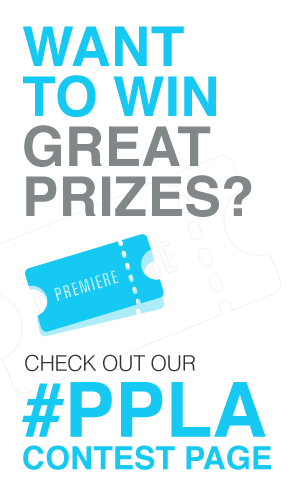 PPLA: When did you get into music, and how did that come about? BG: I’ve been doing it my whole life really. I was in bands in junior high and high school. I got into playing guitar and writing songs. But I started performing when I was in college at NYU, and then the acting thing started taking off. But I always needed something to ground me and take me out of Hollywood. My buddy John here, he really pushed me to pursue my music. And I’ve gone on the road a few times and played all over the U.S. and Canada. I’ve put out 3 records and now I just really do it for fun, and I really love it. PPLA: It’s not everyday you get to enjoy a live performance with just a plug in guitar and a bass. How did that sound develop for you? BG: Well I usually have a full band. But for this (Café Bustelo) it was just kind of a stripped down sound that we wanted to do. And Yonatan plays so many instruments, I was like hey you’re like a one-man band; why don’t we do it just the two of us together. It’s how I did it when I was first starting out in LA, just me and him. And then we went on to touring with a full band. But this was nice to return to a stripped down sound. Did you like it? BG: Yeah it was nice. I was really busy with tv and a couple movies. I had to put it away for a little while, but I started to pick it up and started writing again, got the creative juices flowing it feels good. PPLA: Well glad to hear it! You had a couple movies this year at the LA film festival. How have they been doing? BG: Yeah, I was in a couple movies ‘Flock of Dudes’ and ‘It’s Already Tomorrow in Hong Kong’ which is doing great, it’s winning all these awards at festivals. I think we’re coming out in February. After grabbing our second round we noticed a line had formed to meet Bryan and take photos with him Ever the consummate performer, he greeted every single fan answering questions and taking photos with a smile on his face. Well we’re glad you picked your guitar back up Bryan! Never stop singing. It’s always refreshing to see multi-talented people succeeding.